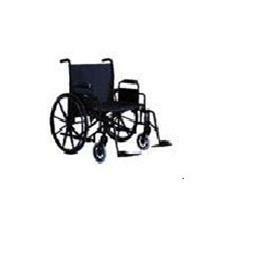 The 9000 Topaz wheelchair is designed specifically to suit the unique and growing needs of the bariatric patients. The Topaz combines the strength and durability of a carbon steel frame with the comfort of heavy-duty front riggings and arms for proper positioning. With a variety of seat widths and depths, frame reinforcements that include gussetted sides, caster journals and dual heavy-duty crossbraces, this chair provides not only ease in maneuverability but stability that will be trusted for years to come.